Sorry for another sporadic blog post! I’ve been super busy with exams, but luckily they’re all done for now, and I can put my feet up and relax… Sort of anyway! Now I can focus on my health more again, and get back into my regular exercise routine. 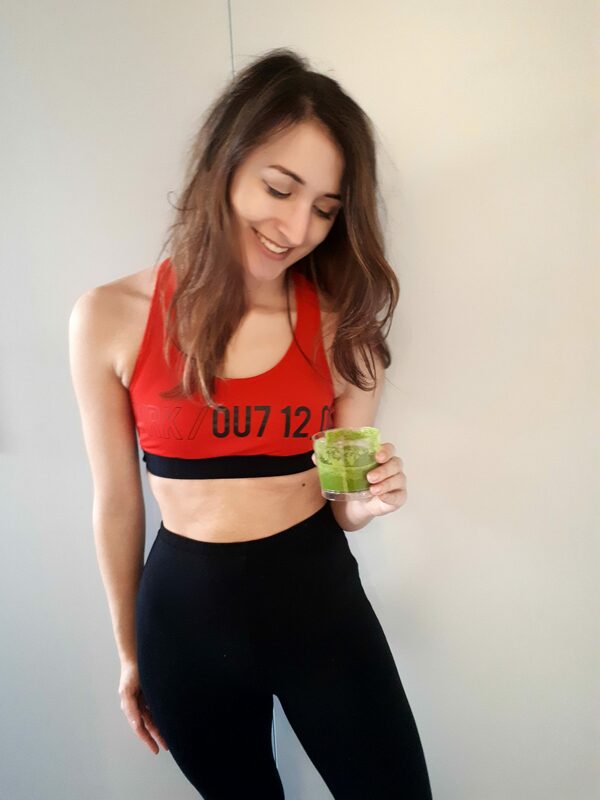 I was given this smoothie recipe when I went to a Bumble BFF blogging event, where I did hot yoga! I have decided not to include photos of me after this as I looked super sweaty, but it was a super relaxing activity that was ultimately very refreshing. Afterwards, they gave us this drink, and the simplicity of the ingredients amazed me. Now I make it whenever I work out, or even if I just need a bit of zing. I’ve adapted it to add orange juice, as I find this helps with consistency and flavour, but you’re welcome to shake it up as you like. You know what they say – an apple a day keeps the doctor away! So three apples are definitely good for you. Apples help control your weight as they are high in fibre, and as they are 85% water they are quite filling. Greens like kale and spinach are high in iron, anti-oxidants (which help protect against cancers), and are great for detoxing. Lemon juice contains pectin, which is great for controlling weight loss and has potassium which helps your body stay strong. Orange juice helps improve your blood circulation and boosts your immune system. The texture of this can be a bit gritty if you add kale, but it does add lots of extra nutrients, so if you don’t mind this it’s worth doing. If not, stick to spinach for a smoother texture. The lemon juice really gives it a kick as well, but don’t go crazy with it as it can be overpowering. 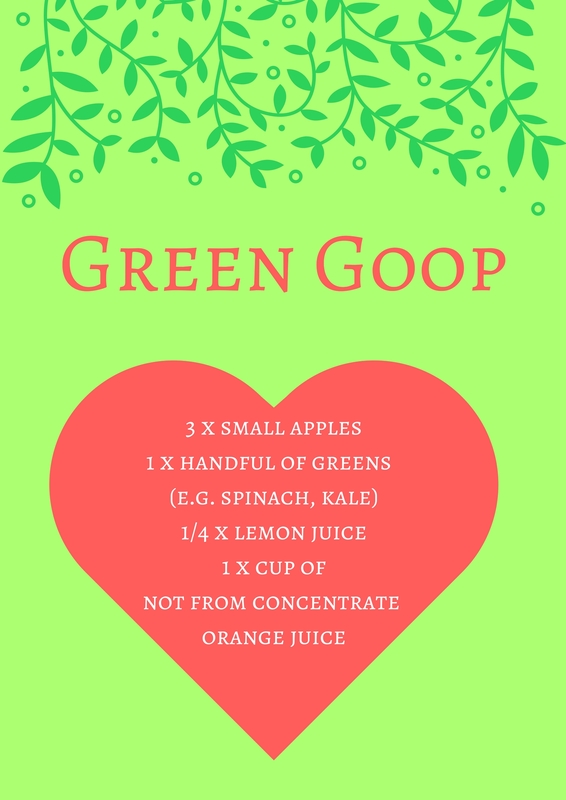 You get a great boost of energy after drinking it – although I couldn’t say if that’s the placebo effect of it being green and healthy or if the vitamins magically kick in! Whatever the case, it’s a perfect addition to your day no matter what you’re doing, and I totally recommend you try it. Will you be using this recipe? What do you usually eat or drink after a workout? I’d love to know!